A short independent film that showcases the town of Elizabethtown and Bridgers’ Barber Shop is now available for viewing. The film, Long Drive to Yadkin, is a dark comedy about a man who walks into a barbershop seeking a hair cut only the hair cut turns out to be his last one. The film follows what happens when the barber realizes his customer has died. 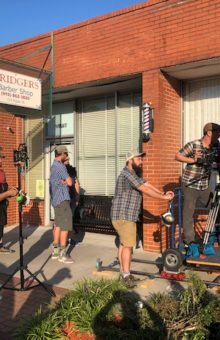 The Lighthouse Film Company, based in Wilmington, is spent one day in July 2018 filming scenes for the production of “Long Drive to Yadkin” both on the sidewalk and inside Bridgers’ Barbershop. 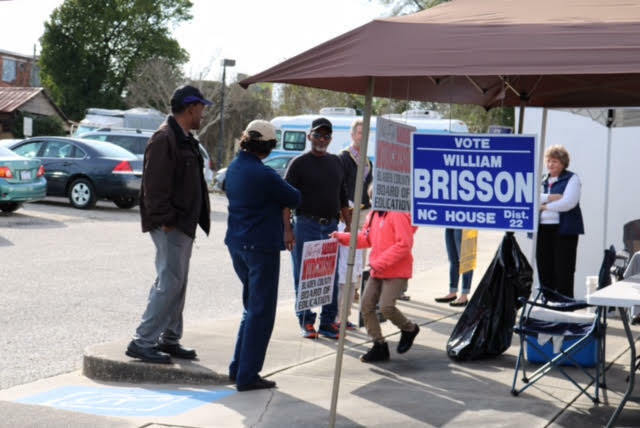 The film’s director was looking for a Barbershop with an “old-fashioned feeling” when he drove through Elizabethtown and saw Bridgers’ Barbershop. After talking with owner Russ Bridgers, the film company decided it was the perfect location for their film.